We just released a new update for Amped FIVE. Here we highlight some of the most relevant changes. 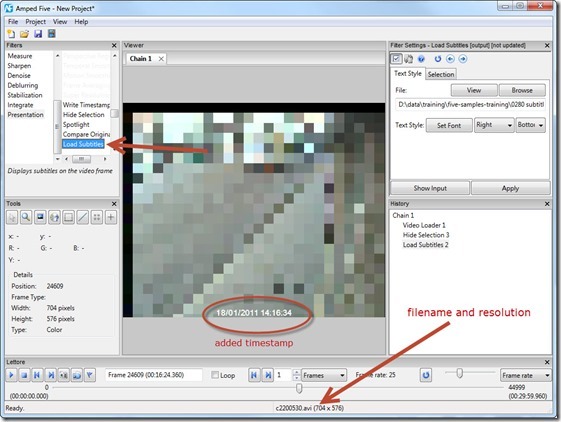 Sometimes DVR systems save timestamp information in a separate subtitle file. 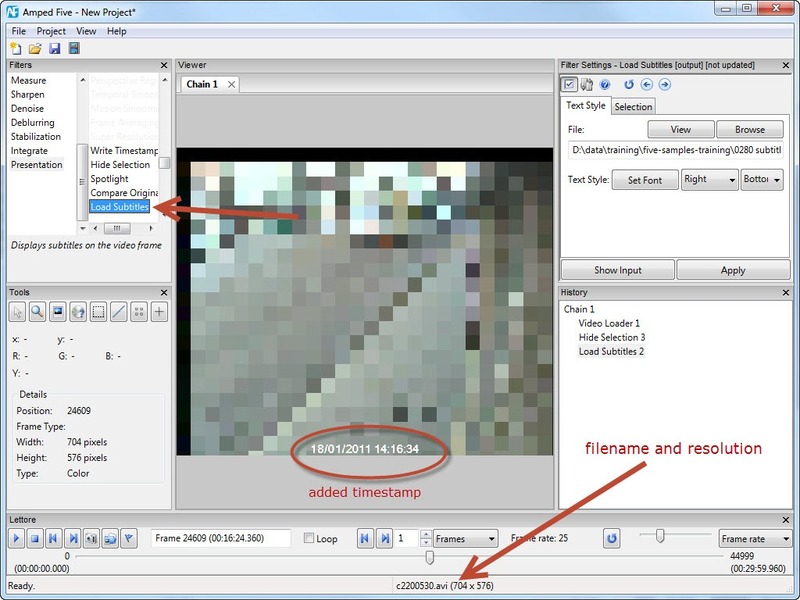 With this new filter you can finally view the exact timestamp printed on the video, if they are encoded as smi or srt files. The timestamp appearance can be fully customized by the user: location on the picture, size, font, style and color are fully configurable. Load Subtitles is located in the group Presentation. This is something very simple, but that will certainly make your life easier. Basically we added in the status bar the name of the current file and the pixel resolution of the currently displayed image, so you can always know what you are working on. You can update now if have an active support and maintenance plan. Stay tuned. We are working on an awful lot of new features! This entry was posted in Announcements, FIVE, New features on February 21, 2014 by Martino Jerian.